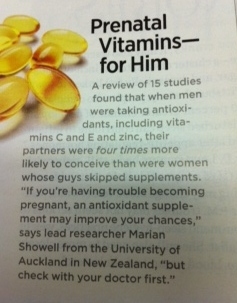 Infertility and Men: Male Prenatal Vitamins? A dear friend of mine shared this with me. I felt it was worth sharing so am passing along. From this month’s Good Housekeeping, p. 44.